Emporia, Kansas-based Hopkins Manufacturing Corp. earned the industry’s most prestigious packaging innovation award at AAPEX 2018 held last month in Las Vegas. Based on voting by automotive buyers from around the world, OxiClean Total Interior Carpet & Upholstery Cleaner was named most innovative packaging in the car care category. The award-winning product combines a patent-pending cleaning tool design, a powerful upholstery and carpet cleaning solution and one of the most highly recognized consumer brands for a fresh, bold look to the automotive aisle. 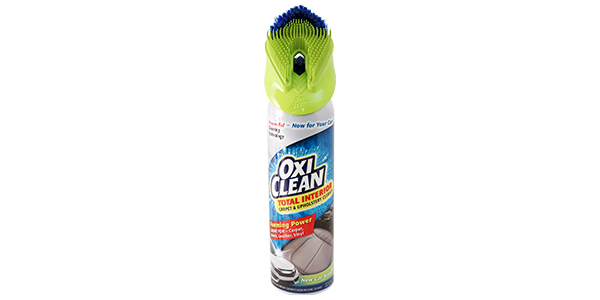 Just prior to the AAPEX Show, the Total Interior Cleaner was recognized for packaging innovation, along with two other OxiClean products, by the Southern Aerosol Technical Association (SATA).